Accepted methods of payment include cash, check, credit and debit cards. Our staff will collect any applicable co-payments and charges for non-covered services from you at the time of service. We will file a claim for services to your insurance company and expect to be reimbursed by your insurance company. Please be aware that payment from your insurance company cannot be guaranteed, and benefits are not determined until your claim is processed. You will be financially responsible for any claim your insurance company denies. Today's health care environment has become more confusing and complex. Understanding your health insurance and vision benefit is not as easy as it once was. Our practice has provided this information to untangle and clarify many misconceptions about third party care and your vision. It is important for all patients to understand a fundamental principle of the third party mechanism. Unless your provider (doctor or health care facility) specifically takes assignment of benefits, the patient is ultimately responsible for any non-covered services and their charges. The insurance relationship is between the patient and the insurance company not between the patient and the provider. 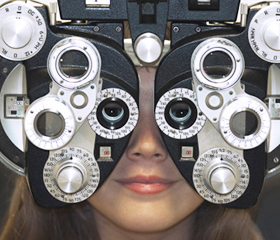 Many common vision insurance programs only cover the vision part of the overall eye health examination. There are two distinct and important elements to every visit to our practice. First, the most important aspect of your visit today is to insure quality of life by providing you with a comprehensive, thorough medical examination of your visual system. Many eye diseases that affect your vision have little or no symptoms until the problem has become sight-threatening. Routine eye health examinations are critical to prevent debilitating eye disease. Secondly, each comprehensive medical eye exam will include a vision component to analyze and prescribe, if necessary, eyewear or contact lenses to correct your vision. It may be necessary for your doctor to perform additional special testing to insure the overall systemic health of your eyes. Some of this additional testing may not be covered as part of your vision benefit. Payment for these additional special tests is the financial responsibility of each patient. The following is a summary of some insurance or vision benefit programs. Hopefully, this information will be helpful to all patients in choosing proper eyewear, contact lenses and eye care for themselves and their families. Please feel free to ask our Insurance Benefit Coordinator if you have any questions about your specific vision insurance or medical coverage during your visit today. 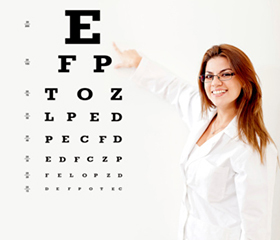 In most cases, VSP will fully cover your vision exam. In some cases there may be a co-pay on the part of each patient. The co-pay must be paid at the time of service. The eyewear component of the Vision Service Plan contributes to or subsidizes the purchase of your eyewear. 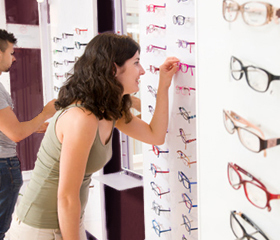 Each specific Vision Service Plan subsidizes eyewear purchases at different levels. The Vision Service Plan is not an entitlement plan and patients are free to choose any frame or lens option recommended by their doctor. Our professional optical staff will be happy to determine if any out-of-pocket costs will be incurred by the patient. Our practice fully participates in the Medicare program. We accept assignment of benefits on behalf of each eligible patient. The eye health examination is a fully covered service under the Medicare program. However, as mandated by Federal law, the refraction part of the vision section of your exam is a non-covered service. Each Medicare patient will be charged $45 plus tax for the refraction. The purchase of frames, lenses, lens options and coatings is the responsibility of each Medicare patient. Hopefully, this information will give you a better idea of the vision benefit you are using today. Our insurance coordinator is available to answer any questions. Due to the large number of different insurances and Vision Benefit Programs, it is impossible to know the specific details and reimbursement policies of each. If our doctors do not participate in your Vision Benefit Program, we will be happy to provide you all the necessary forms and documentation for you to submit to the carrier for reimbursement. Thank you for your understanding and patience. If you need more information about whether we accept your plan, please give us a call.